2018 was a year particularly favorable for Pinot Blanc. Springtime was rainy with cool temperatures, followed by hot dry weather at the very beginning of summer. The second half of summer brought frequent rain showers that mitigated the hot temperatures and allowed for optimal berry ripening, maintaining excellent freshness and intense aromas. The harvest of Pinot Blanc grapes for Villa Antinori began the second week of September. The harvested grapes were destemmed and gently pressed. The must was cooled down to a temperature of 10 °C (50 °F) to favor a natural settling of the impurities. After 48 hours, the clarified must was transferred to temperature controlled stainless steel tanks where alcoholic fermentation occurred at a temperature no higher than 18 °C (64 °F). The wine was held in stainless steel tanks at a temperature of 10 °C (50 °F). Only grapes from the very best Pinot Blanc vineyards on our Monteloro estate, set in the hillsides behind Fiesole, are used to craft Villa Antinori. This is one of the Antinori family’s historic wines that has captured a new expression able to express the harmony and sensations of an ancient territory renowned for the production of white wines. Villa Antinori Pinot Bianco is straw yellow in color with greenish hues. On the nose it is refined and elegant with hints of tropical fruits, pineapple, mango and acacia blossoms. It has a full palate, persistent with a good mineral structure. Only grapes from the very best Pinot Blanc vineyards on our Monteloro estate, set in the hillsides behind Fiesole, are used to craft Villa Antinori. This is one of the Antinori family’s historic wines that has captured a new expression. Villa Antinori is an important corner stone as its name is associated with over 100 years of history. At the same time it represents ongoing progress. The one essential principle is continuous research for increasingly higher quality standards. This idea produced two different wines that share a common passion for quality: Villa Antinori Rosso and Villa Antinori Bianco. Villa Antinori was originally produced in 1928 by Marchese Niccolò Antinori as a Chianti Classico that could age and that would improve over time. Soon after, Villa Antinori was found in the most prestigious cellars in embassies, royal houses, important hotels and restaurants. 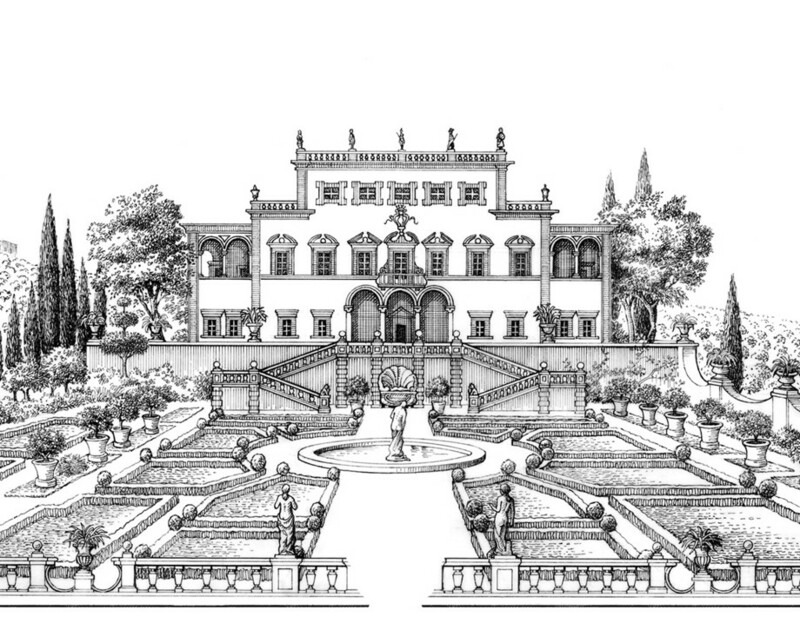 In 1931, Villa Antinori Bianco was made from traditional Trebbiano grapes. In the 1980’s a small percentage of Chardonnay was added in order to give the wine better structure.